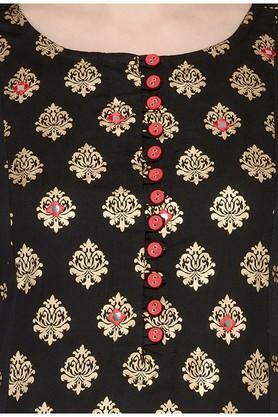 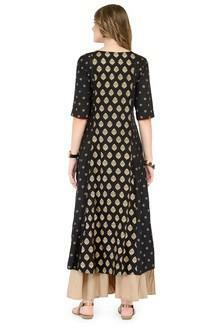 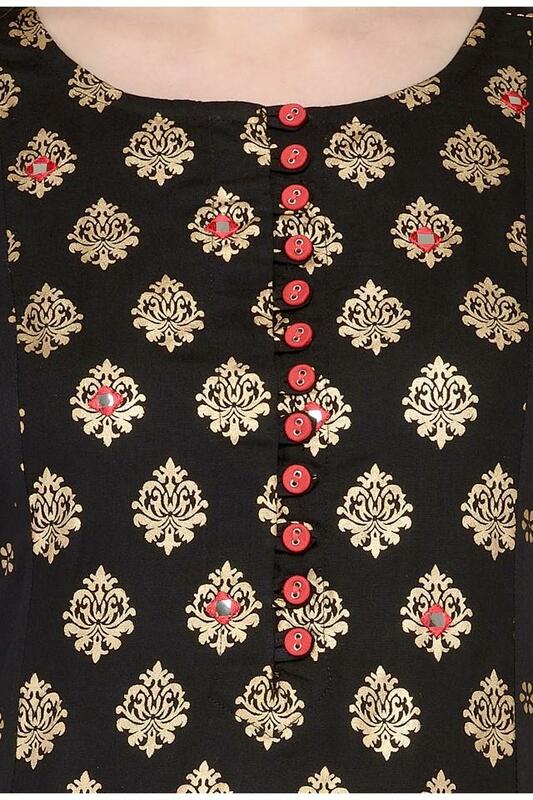 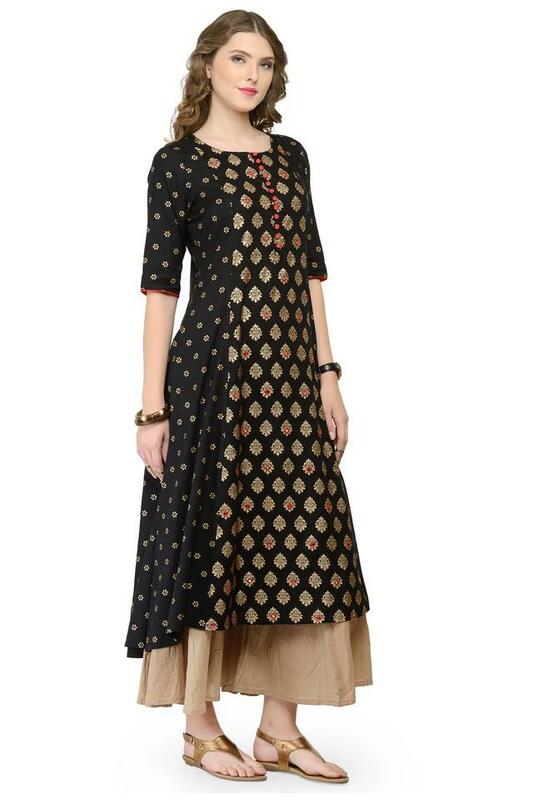 Give an intriguing touch to your stylish appeal with this fashionable A-line kurta from the house of Varanga. 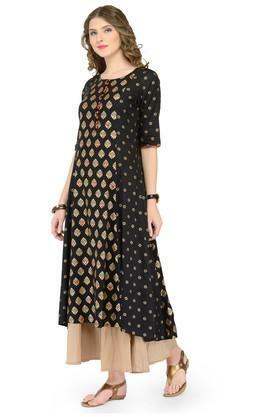 It features a round neck and elbow sleeves along with printed pattern. 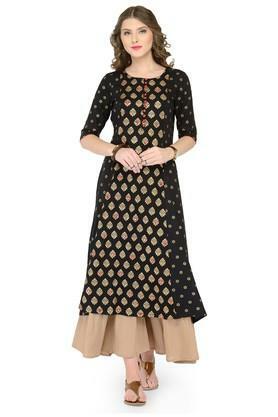 Made from a rayon fabric, it fits with ease and ensures durability.